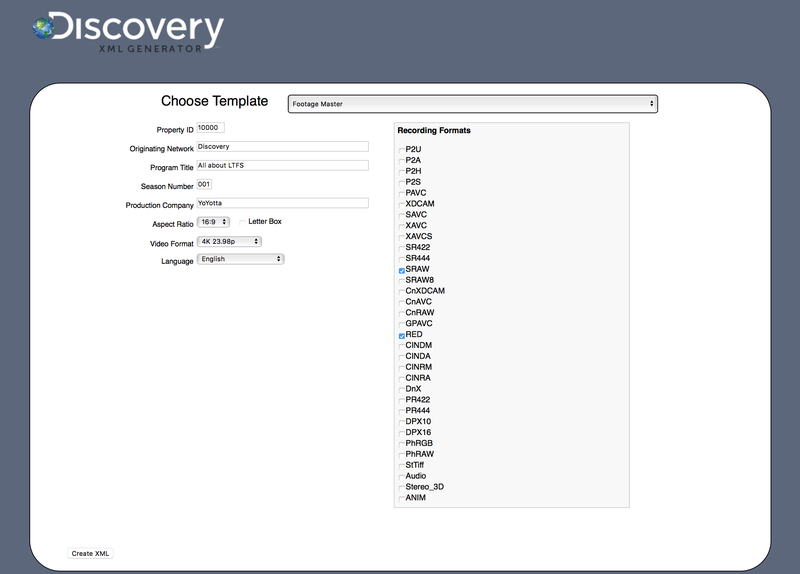 LTO tapes sent to Discovery need to be LTFS formatted with an XML metadata file. Use YoYotta LTFS to put this file into the LTFS index partition. Also validate tapes to ensure they conform to the Discovery format. 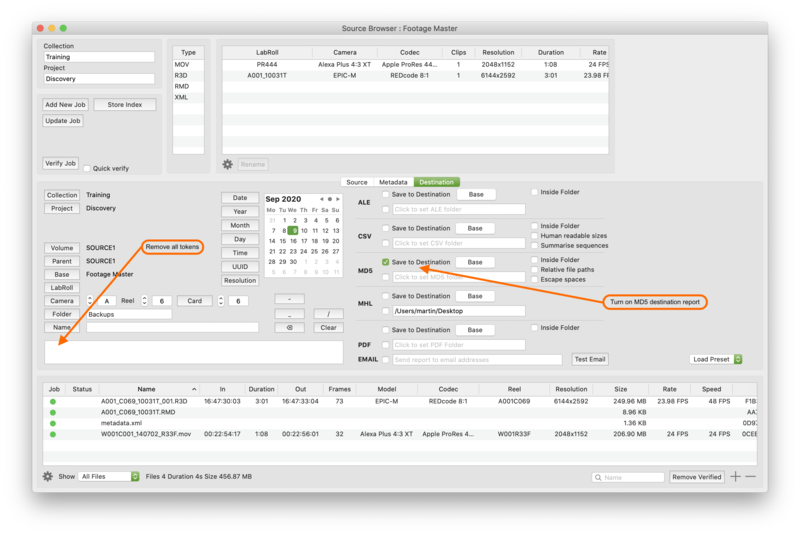 Select the Recording Formats that you will be archiving. Complete all the other fields and click Create XML. 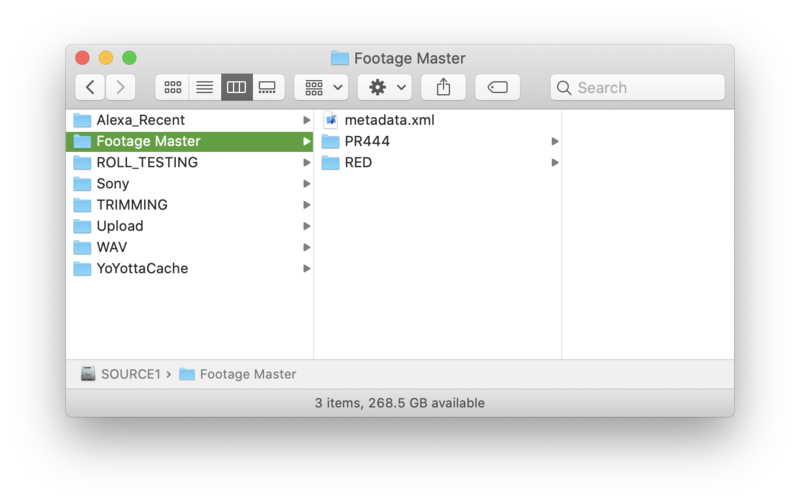 Create a folder on a source drive that will contain the footage folders. Drop the generated metadata.xml file into the source folder. Then make subfolders in the source folder for each footage type. Use the exact same name as selected online. In this example RED and SRAW. Then copy or link material into these folders. If you link material then make sure Copy linked files and folders is turned on in Preferences. Remove all the tokens from the destination path, so that no extra folders are created. Turn on Save to destination for MD5. Turn off other destination reports. The completed tape is exactly the same as the source folder, plus it has the MD5 checksum file. Load a tape and add it as a source. Then click the refresh button above the Job table. This will mount, index and validate the tape. YoYotta will check the XML format, ensure it's in the index partition and check that the correct media folders are present. A summary will be shown in the log panel.